It was feared that adjustable rate mortgages (ARM) would slam U.S. homeowners in droves as low teaser interest rates adjusted-up. Many intelligent analysts and investors showed us how waves of ARM’s would come due for scheduled adjustment, causing havoc to their owners. 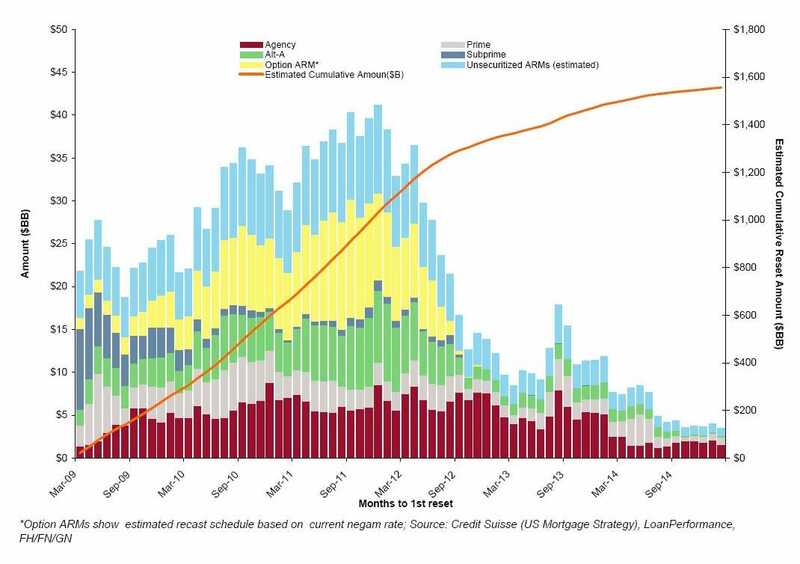 Well, it turns out that many ARM holders either modified their loans ahead of time or were simply already driven into foreclosure before it even happened. Great… we think.